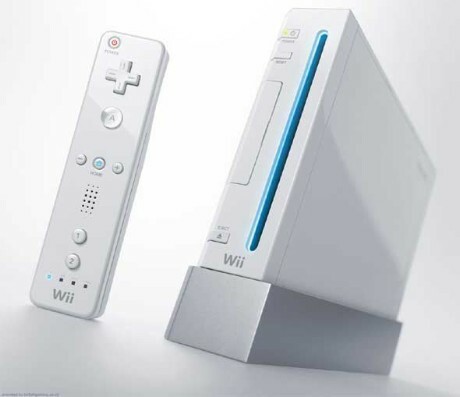 The Nintendo "Wii" is a novel video-gaming device that is a useful adjunct to vestibular rehabilitation therapy. The "Wii" is very well suited to rehabilitation because rather than interacting with a computer keyboard or "mouse", users wave around a "Wii-mote" (see image below left) which is shown on the TV as something actually moving - -such as a tennis racket, etc. 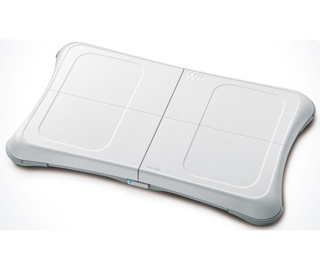 The "Wii-fit" program is a recent addition to the "Wii" stable of programs, and incorporates a balance board that can be used for training. Table Tilt - The player must shift balance to get balls into holes. Tightrope Walk - The player must cross a tightrope avoiding the snapjaws. Balance Bubble - The player attempts to navigate down a river in a bubble without bursting it on the sides. Penguin Slide - The player has to catch fish while balanced on a piece of ice. Lotus Focus (also known as "Zazen") - The player must remain motionless while looking at a flame. So far, there are no studies of the Wii for vestibular rehabilitation (we are planning one), but we think that it is likely to be very good. There are always safety issues with balancing exercises, and this device is no exception. I would strongly recommend the Wii. I have begun to show steady improvement. I am not sure that the improvement transfers to daily life, but I think it does. Once set up. it is easy to use and motivating. I engage in the balance and aerobic exercises daily. There are also yoga and strength exercises. ALL the exercise provide ways to coordinate vision and balance and ways to receive feedback about your own vision and balance. Also, engaging in the exercises that are not specifically targeted at balance builds core strength and improves over-all health. These exercises can be done safely at home. I am unable to walk at an aerobic pace outside. I cannot walk outside at all if it is dark or icy. The Wii has given me a way to do that. The total cost of the package is about $300. 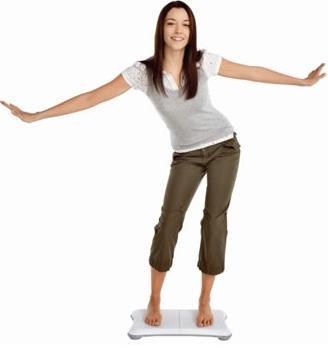 You have to buy the Wii and the Wii Fit. It is really worth it if people can come close to affording it. If patients are afraid of the technology involved, just tell the that any niece, nephew, or high school kid they know could set it up and help them use it.